In skydiving we add gear weight because it is significant. Containers packed with a lot of hardware, AAD units, and reserve canopies add a material amount of exit weight. BASE gear weighs far less and we’ve found body weight to be the most accurate way to determine an appropriate canopy size. Loading BASE canopies more heavily can be fun, but make sure you understand the risks. 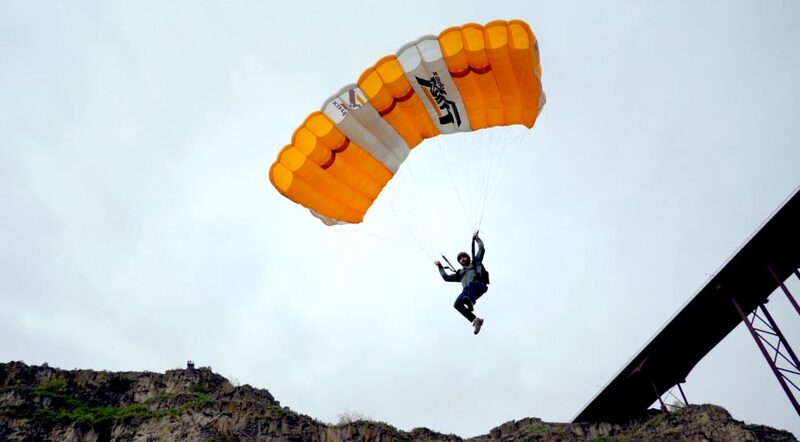 Ideally we tell people to aim for the middle of the range when choosing their BASE canopy (.675 lbs./sq. ft.). It’s one of the reasons we offer our canopy sizes every 10 square feet (190, 200, 210, 220, 230, etc.). 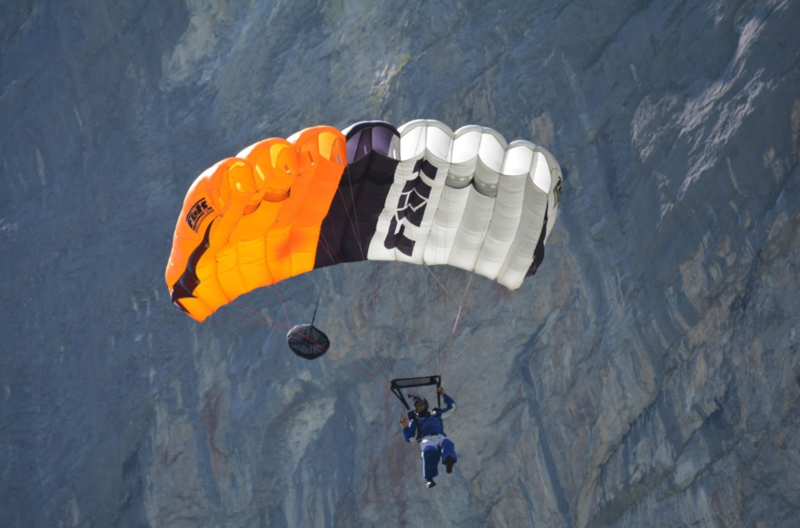 This allows jumpers to more precisely choose their ideal wing loading. But sometimes we may find ourselves on either the higher or lower end of this spectrum so it’s important to understand the pros and cons of approaching the ends of this range. 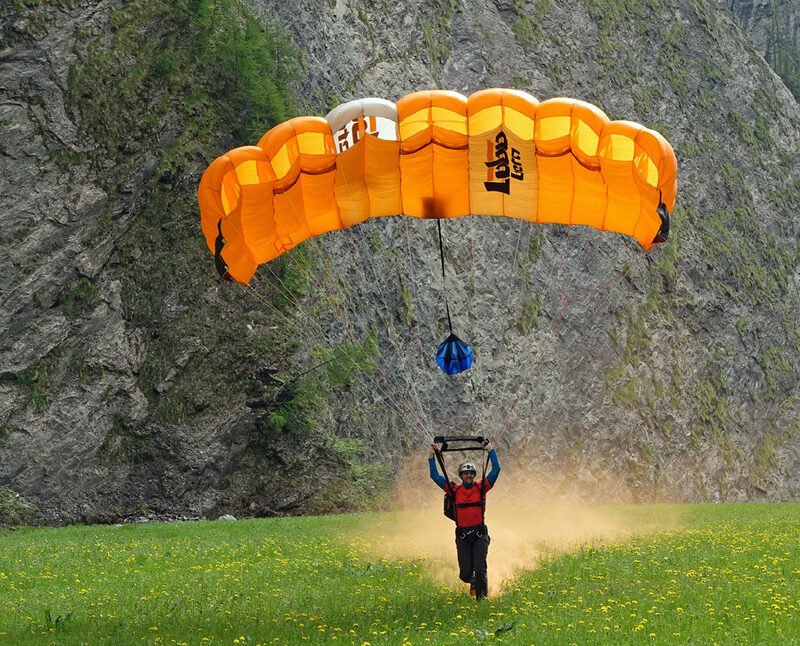 In the Apex range, the FLiK II is the friendliest canopy to fly at lighter wing loadings if that’s the direction you’d like to go. In the Apex range, the Lobo is very comfortable at higher wing loadings and the Lynx also does quite well on the higher end of the spectrum. But I’m Really Big/Small…Do I Really Need a Huge/Tiny Canopy? If something seems off, give us a call and we’ll get you sorted. Thank you, always, for the trust you’ve placed in Apex BASE!